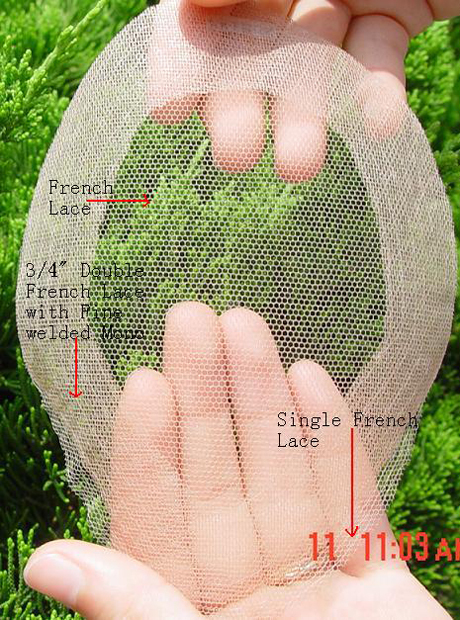 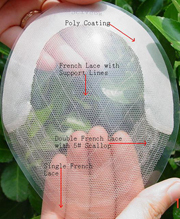 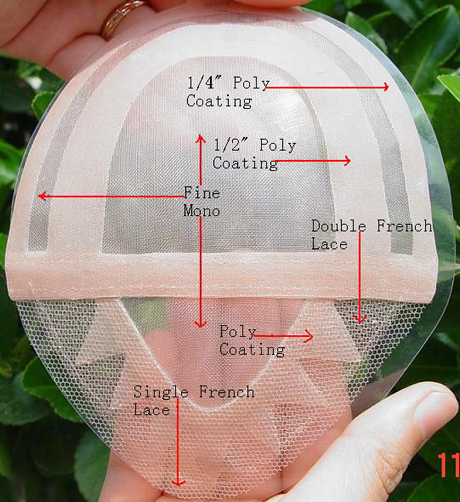 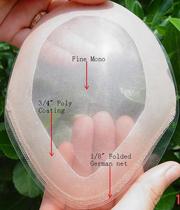 swiss lace or thin welded mono lace can be used. Base material colors: clear, flesh. 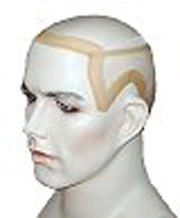 Custom-made to your hair color, highlight and % gray content. 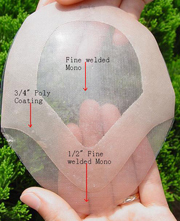 With or without bleached knots. 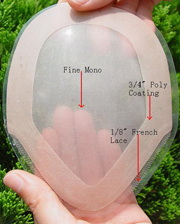 Made for any hair type. 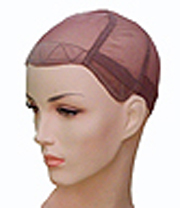 Invisible front with or without scallop. 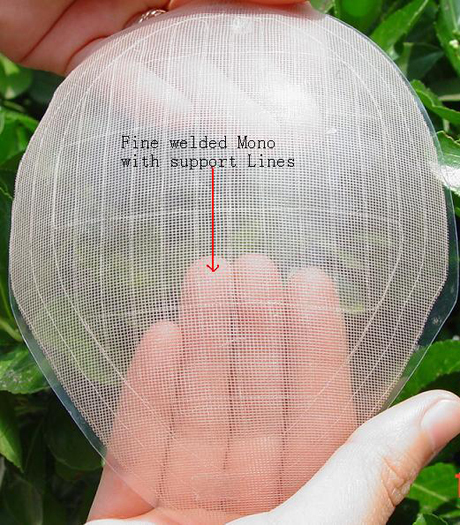 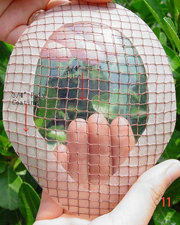 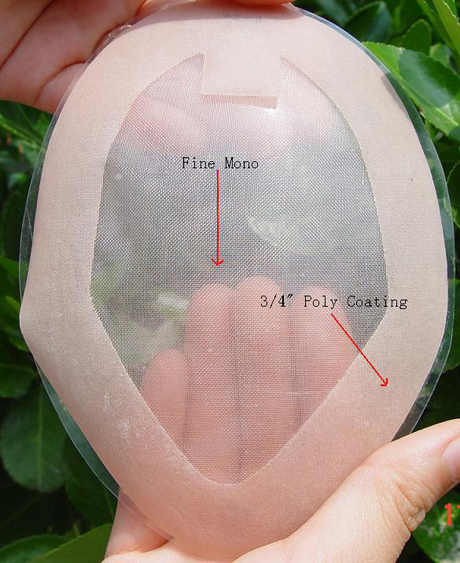 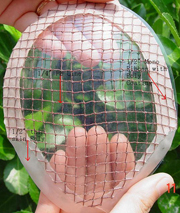 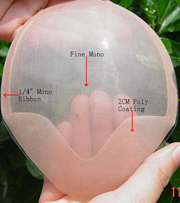 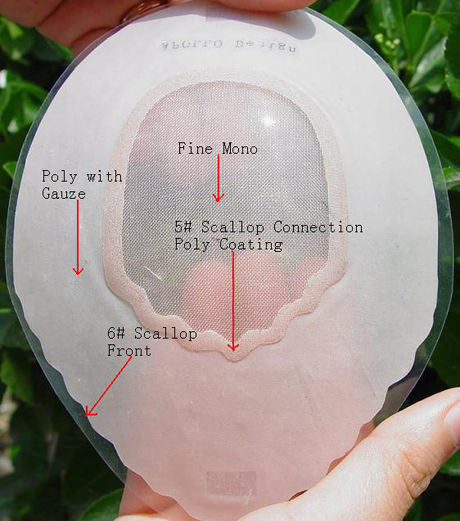 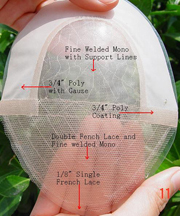 All net, fine welded monofilament base.